Even though I often say “I love food!” I don't really mean “love.” Then again, I don't think I mean “lust” either. Whether love or lust comes into play when referring to any of my food choices, I know not. What I do know is that I am guilty of at least seven other deadly sins whenever I indulge in one of the tastiest temptations to come along since the forbidden fruit itself: The Sam's Club Hot Dog Combo. 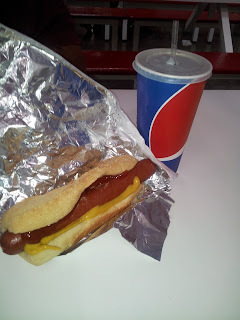 At only a buck fifty, this oversized jumbo dog, when accompanied by an even larger soda, is nothing less than a life-shortening heart attack wrapped in foil and prepared, at an irresistible bargain price, by none other than the devil himself. Sloth, in that I am far too lazy to make my own lunch and would rather drive clear to Provo than engage in any sort of food prep. Greed, in that I am only willing to spend $1.50 for my meal, thus hanging on to the remaining eight dollars and fifty cents found in my wallet as though they were my last (because usually they are). Gluttony, as I savor every last bite of the salt-infested, ketchup-slathered, mustard-dotted, onion-sprinkled, relish-infused, artery-clogging weenie in a bun. 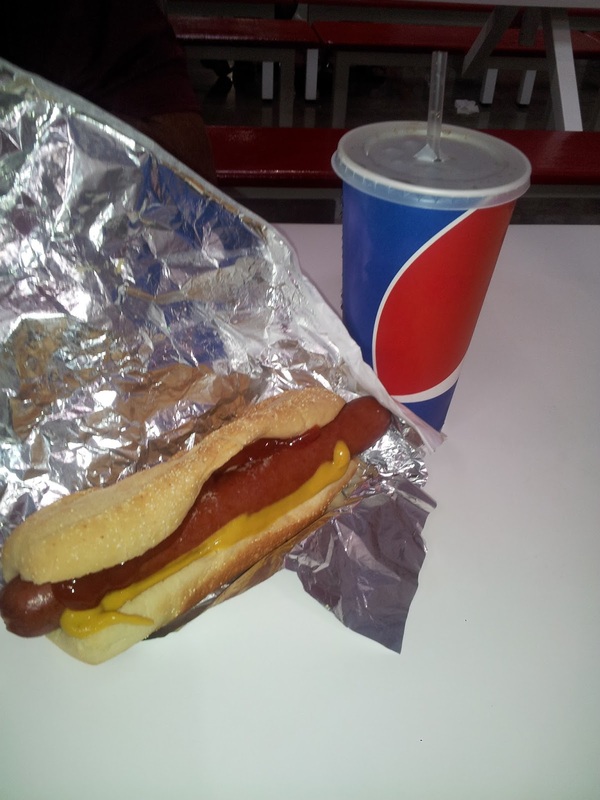 Envy, in the eyes of the jealous passersby as they long for a bite of my juicy hot dog on steroids. Wrath, when I realize I have just consumed more fat calories in a single setting than I do in a regular weekend! Pride, at the realization that I could consume this same diet every day of the week for the next year and probably never gain an ounce (thanks to my overactive metabolism). Vainglory, as I think to myself: If only I could look as good as this thing tastes! Ha!! No worries, you are MUCH better looking than a hot dog!